We will solve your Logistics problems. We offer express, next day, door-door, and dock to dock service. Our specialty is same day delivery of your freight for certain areas of California; we offer next day service to Bay Area, Arizona, Nevada, Oregon, and Washington. Call to determine if your load qualifies for same day delivery in California. We can provide service to the other continental 48 states, call to inquire. We have dispatchers on call 24 hours a day to serve our customers. Our Staff has access to our truck’s GPS system so we are able to provide live tracking of shipments and real time yard inventories. Our drivers are here to meet your needs by being: dependable, professional, uniformed, and courteous. 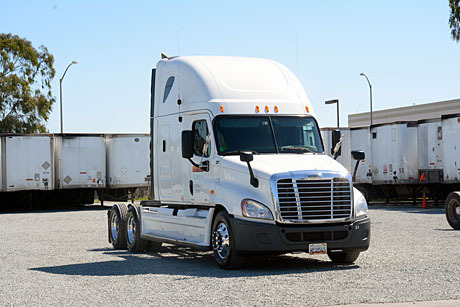 We offer competitive pricing and cost effective ways to move freight. Contact us today for a quote.